Poverty and inequality remain big problems in the 21st century, even in developed countries. Which of the two should policy-makers be more concerned with? This debate is based on the LSE100 lecture “Economic inequalities, their extent and measurement” by Professor Sir John Hills (9 January 2017) at The London School of Economics and Political Science. According to the UNDP people with an income of less that $1-a-day (later $1.25) live in extreme poverty. Halving the proportion of people living in extreme poverty by 2015 was the main target for the Millenium Development Goals set in 1990. This target was met in 2015, mainly thanks to the sustained economic growth in China, which according to the World Bank, has pulled approximately 500 million out of extreme poverty from 1990 to 2015. However, there are still 1.2 billion people living below the $1.25 per day in the world, mainly in developing countries. The first of the new UN Sustainable Development Goals is to erradicate completely by 2030 extreme poverty, so that nobody lives with les than $1.25 per day. Halving the number of men and women living in any kind of poverty by 2013 is another key target for the UN. In developed countries the proportion of people living in extreme poverty as defined above is much lower, but the problem of poverty is far from being solved. For instance, Shaefer and Edin (2014) argue that the number of households living on $2 or less in cash income per person per day in the US has increased from about 636,000 in 1996 to about 1.65 million in 2011. In Germany, while technically there are no people living under $1.25 day due to its welfare provisions, the number of citizens living below 60% of the median income (a commonly used measure of relative poverty), is on the rise, from just over 12% in 1994 to over 15% in 2010. Inequality has grown in many developed countries over the last few years. The rich are getting richer and control an increasing share of the total income and wealth. The austerity measures and flexibilization of labor that followed the recent financial crisis have contributed to the economic disparities. In the UK, for example, over the period 2006-08 to 2013, full-time employment fell, unemployment grew, and pay inequalities widened both in terms of hourly wages and weekly earnings. The richest 1,000 people in Britain have more that £100 million each. Moreover, global economic inequality is much greater than within a specific country. According to Oxfam and Credit Suisse, the top 1% of the world's population now have a combined estimated wealth of $125 trillion (half of the global total) and the top 85 richest people have the same wealth as the bottom half of the world's population. 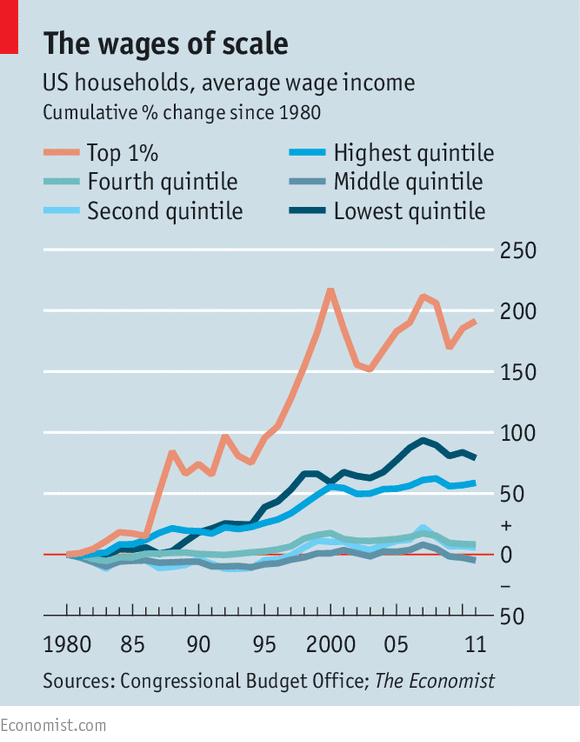 The problem with growing inequality is that it may make social mobility increasingly difficult. The people at the top do everything in their power to make sure their children inherit their status and privileges. This widening gap between social classes is turning the ideal of a fair society with equal, or at least similar, opportunities for everyone into an increasingly remote utopian ideal. The goal number 10 in the new UN Sustainable Development Goals is to reduce inequality within and among countries. Poverty and inequality are problems that affect most countries in the world, including the most economically developed. Policy-makers and researchers try to better understand these issues, their causes, and their impact on society. Some argue that inequality engenders poverty and that we need to focus on curbing inequality if we want to eradicate poverty. Others believe that inequality is good and intrinsic to our capitalist systems. For them, inequality is necessary in capitalist societies because it stimilutes economic growth. Which of the two do you think deserves more attention from our political leaders: reducing inequality or eradicating poverty? How can we best contribute to economic growth and social development? Poverty vs inequality: In developed countries, should reformers focus on inequality rather than poverty? Vote and share your views on poverty and inequality. Feel free to ask questions to the LSE100 teaching team on the discussion forum below.